Make your next event a guaranteed success with our Toronto Catering Service! 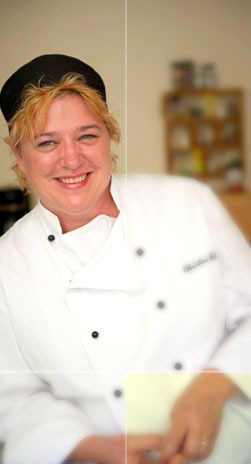 Christine Bib Catering is a well-established Toronto Catering business, serving the needs of this thriving city since 1985. As you explore our website with some idea of the people you want to serve a great meal to, you will see what over twenty years of experience brings to bear on your vision. We understand the needs of busy clients and organizations, and we serve up the best dishes for up to 3,000 people. The best caterers are specialists in putting together all of the details for your fine event. We move from sketching out the basics to customizing your menu, as the type of cuisine and your budget will vary with each special event. When you contact us and get the personal touch we strive to give every client, you will discover why we are truly a respected choice among the top Toronto caterers. If you are looking for a quality Toronto Catering service, be sure to bring all of your questions. We will take the time to explain how our staff works together to put on the best gastronomic events while also providing value to our clients. Your carefully crafted catering plan is spelled out in a traditional catering contract for larger events, so all the details are clear and nothing is left to chance. We specialize in getting your special dietary needs met with catering options that can suit almost any budget. From the finest in gourmet offerings to more simple comfort food that meets corporate catering or daily catering requirements. We take care of everything so you can enjoy the event with your guests and forget the logistics of feeding them. If you need a Muskoka catering service or Muskoka corporate catering, Christine Bib has also served this important market year round, since 1999 in addition to our clients in the greater Toronto area of Ontario, Canada. As we have established our company as a dependable, consistent supplier of professional catering in this busy metropolitan region, Muskoka customers and Toronto customers count on us to provide beautiful meals. In fact, we service professional party event planners regularly. Bring us your high expectations. From the beginning to the end, we will bring you a great party with food to die for. Experience true customer service from the "caterer's caterer!"